I’m running another book giveaway with Goodreads! 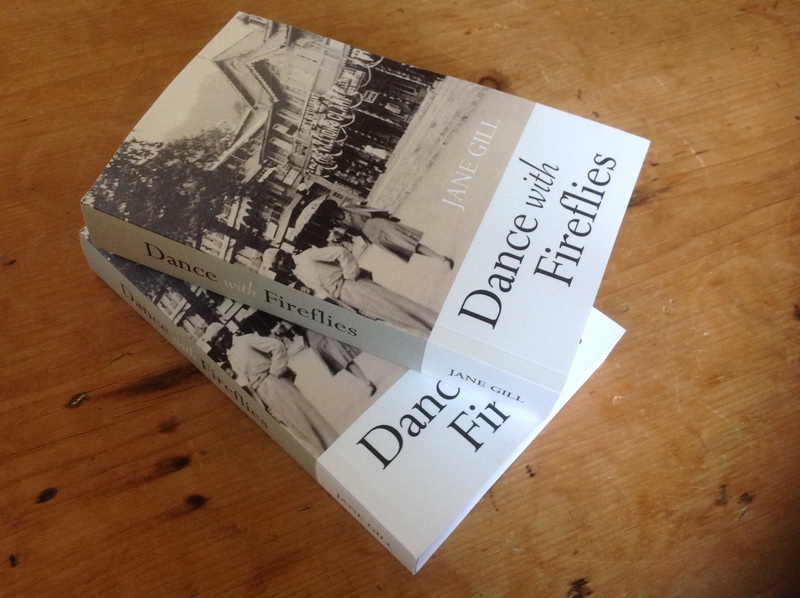 It’s a great way to get lots of avid readers to notice Dance with Fireflies. The first time I did this was at its launch. It attracted 1792 entries from people who wanted to win a signed copy, 780 of these readers added it to their ‘to read’ list…. Not bad! Can’t beat a real bookshop! It’s great to be getting lots of sales through Amazon(by far my biggest outlet) but it’s rather thrilling to see Dance with Fireflies on real book shop shelves! As Book Two gets underway, my office walls are starting to fill up. I have drawn out timelines, ranging from 1945-1952. To help me capture the vibes, people and locations of my next story I’ve started to stick images on the glass door with captions underneath. I found this hugely helpful when I wrote Dance with Fireflies…. I used to find myself half way through a paragraph staring at a particular building, ship, persons clothing…. whatever … to try and get it right. I have a picture of Vivien Leigh up…. Beatrice, one of my characters, is based on how she looked … very glam!! 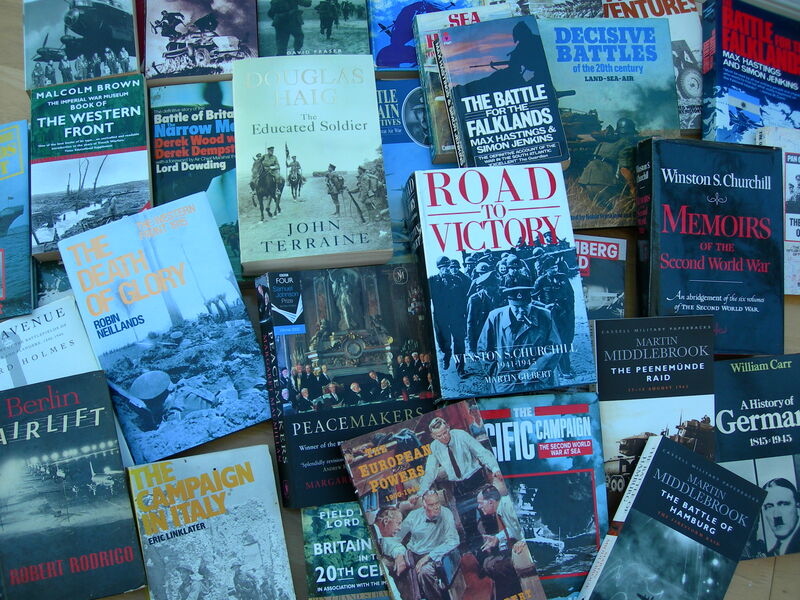 I’ve just been given over 30 books on WW2, various battles, conflicts and world leaders. They have pretty much filled my dining table. Sadly I will never meet the collector who spent a lifetime collecting these lovely books. Some were birthday presents from his wife, some are old library books and most are from second hand book shops. So thanks Barry, you can rest assured that they have gone to a good home! Alfie’s face will light up when he sees them…..I may have to limit them in his suitcase though! 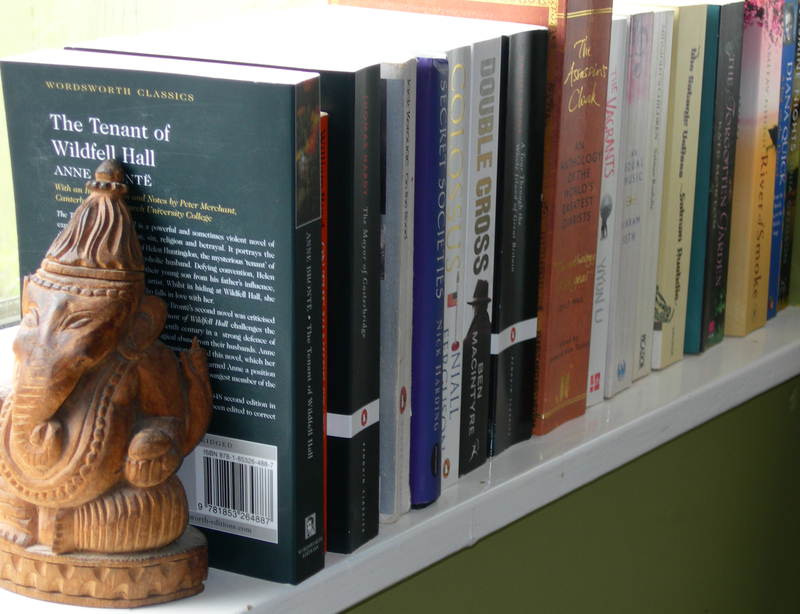 Office shelf…books on how to get published to books about the Raj, WW2, Hobson-Jobson Anglo Indian dictionary and The complete Indian housekeeper and cook. Oh, and underneath live all my Pantone books for when I’m doing my real work as a designer. 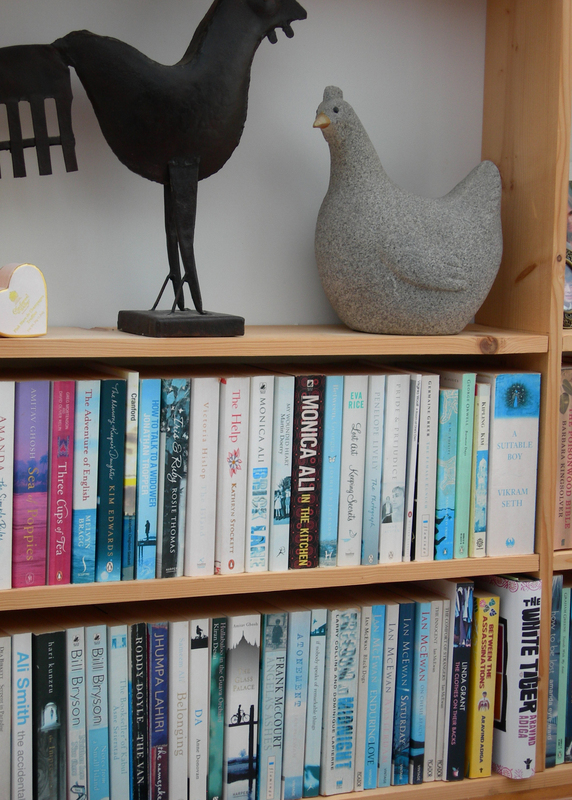 Modern fiction shelf…..just some of the books I’ve read recently, as I wrote in a previous post (I love, I lend, I lose) plenty of my favourites are missing! 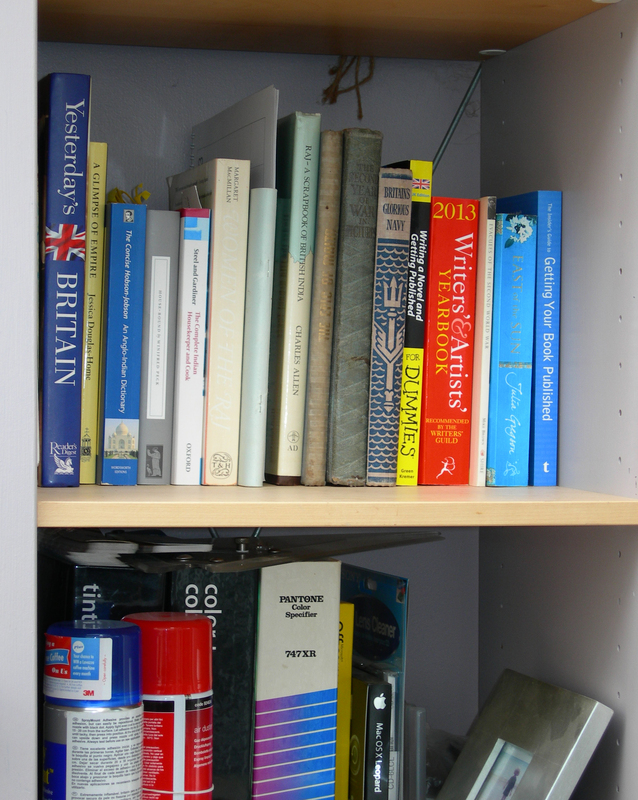 Oversize reference shelf…. 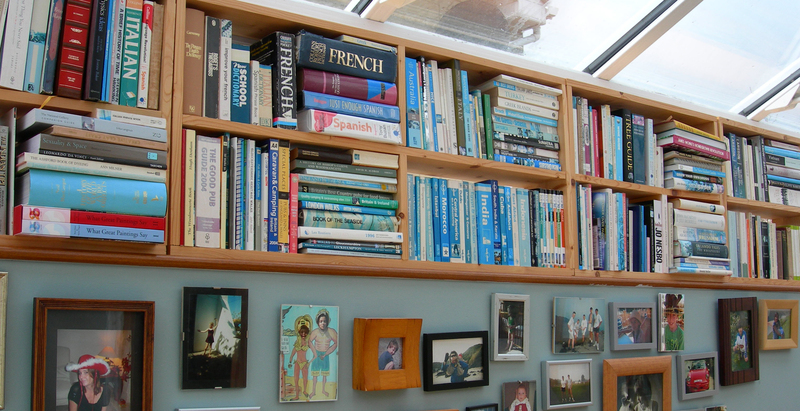 this is where all my chunky books live from old and modern atlas’s to gardening. Bit of everything shelves….This one is a bit eclectic. From language books, biographies, books on campsites and great restaurants. By far the best section contains my well traveled Lonely planet guides, dog eared and creased from their adventures around the world with me. 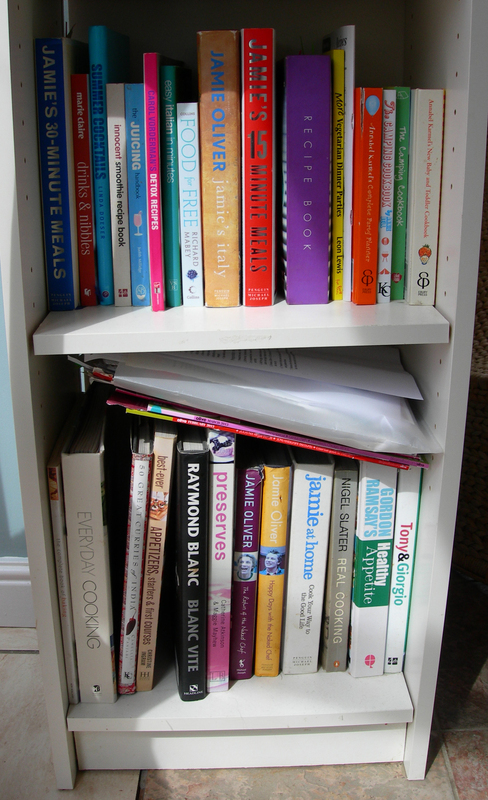 Cooking shelf….I have loads of cook books, this is just a tiny selection….I love all of them but my favourite at the moment is one I bought my husband a few weeks ago for his birthday- Jerusalem by Yotam Ottolenghi and Sami Tamimi. Usually I flick through a recipe book and see maybe 3- dishes I like the look of but this book has a great recipe on pretty much EVERY page! 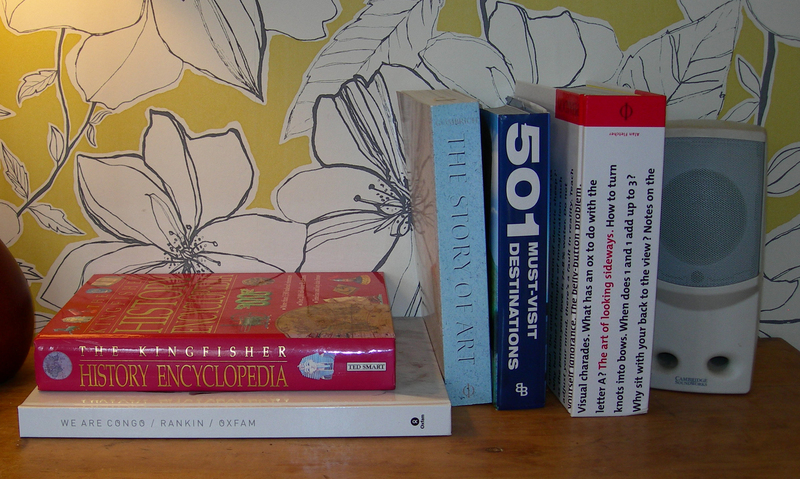 Coffee table shelf…these are a few nice ones that are always good to have a quick flick through. I love Rankin’s book he did with Oxfam in the Congo. The waiters…this is a shelf in my bedroom. It has all the books waiting patiently for their turn be picked up and read. 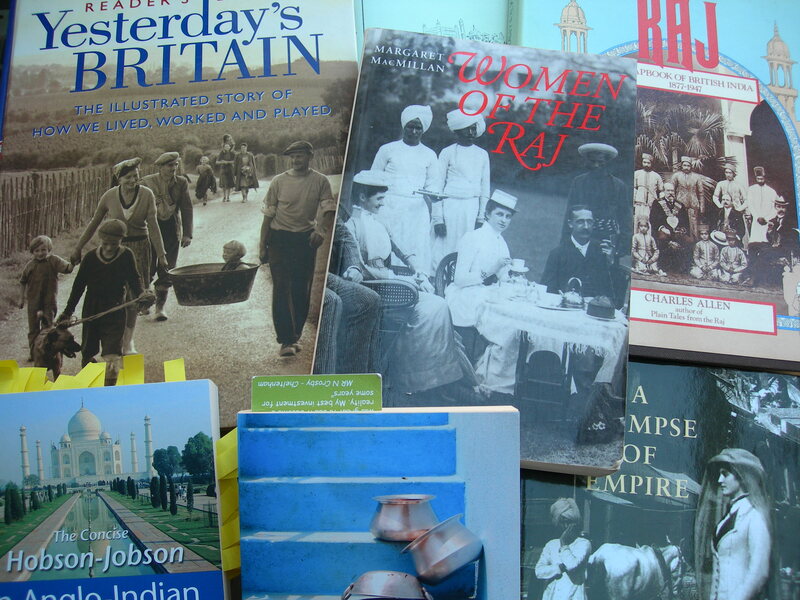 Having decided on my story, the era and countries included, I started to gather books on the subjects. Some borrowed, some bought, second hand and new. 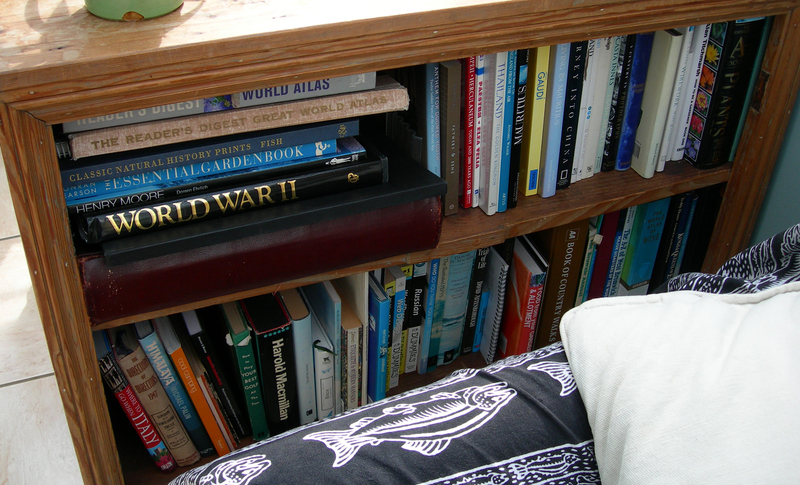 I now have a mini library in my office and have become quite knowledgeable on WW2, The siege of Malta, troopships, I’ve even read the whole Anglo-Indian dictionary (Hobson-Jobson) from cover to cover……a surprisingly good read! Of cause the internet is an amazing source of information, I can’t imagine how people used to write without it at their fingertips.